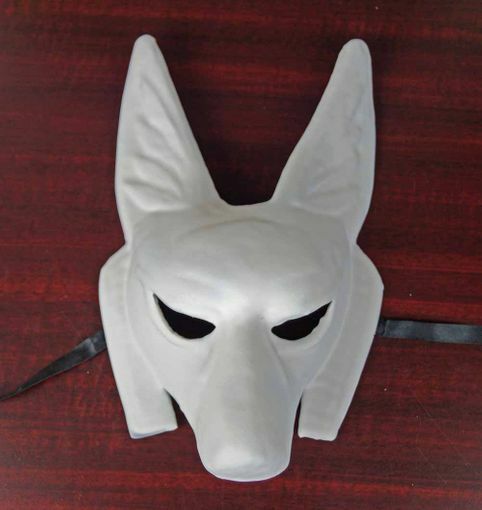 This unpainted Pharaoh mask is hand made out of a thick paper mache. Mask is primed and ready for painting. Mask comes with black ribbon ties.